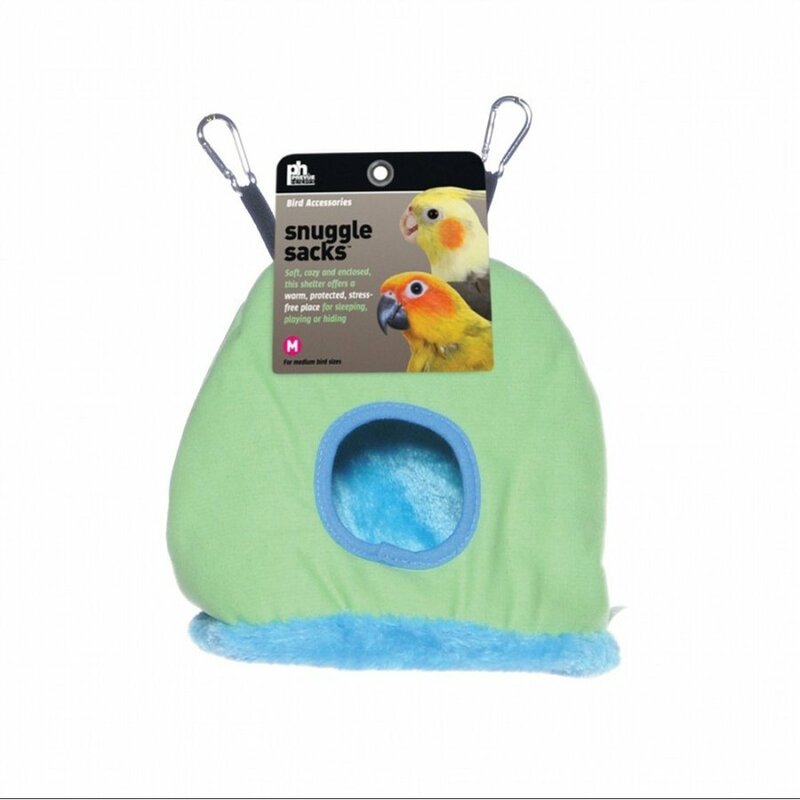 Snuggle Sack Bird Hideaway has different options and/or variations, please choose below. 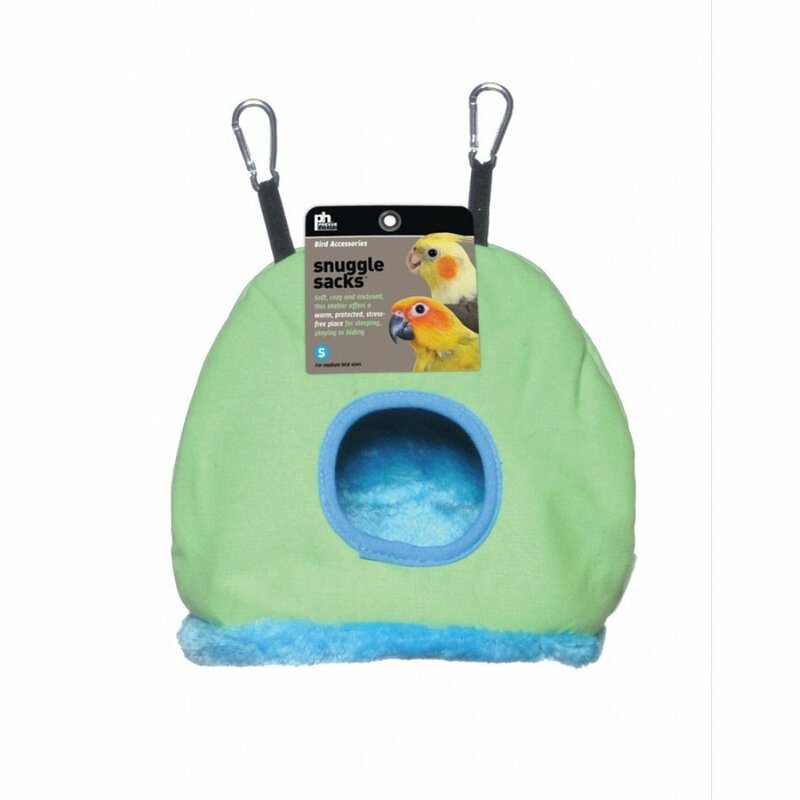 Soft and fuzzy and helps keep your birds protected from cold drafts. Hangs easily in any cage from the attached hooks and provides your birds with additional space for playing and sleeping. Comes in assorted red, green and blue.